Moorestown, NJ, November 30, 2017 – Chartwell Law added insurance defense attorney Jennifer C. Brennan to the firm’s Moorestown, NJ, office. Brennan is a seasoned workers’ compensation defense attorney, with experience conducting trials and preparing witnesses and medical experts. 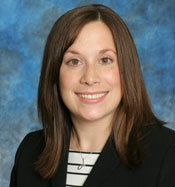 She represents employers, third party administrators and insurance companies in various counties in New Jersey. Brennan received her J.D. from Seton Hall University School of Law and her B.A. from Pennsylvania State University.